The terrace is one of the favourite areas of the guests. It offers a relaxing and pleasant ambience where you can enjoy our delicious breakfast from early in the morning (from 7.30 to 11.00) or a glass of our local wines with good company. 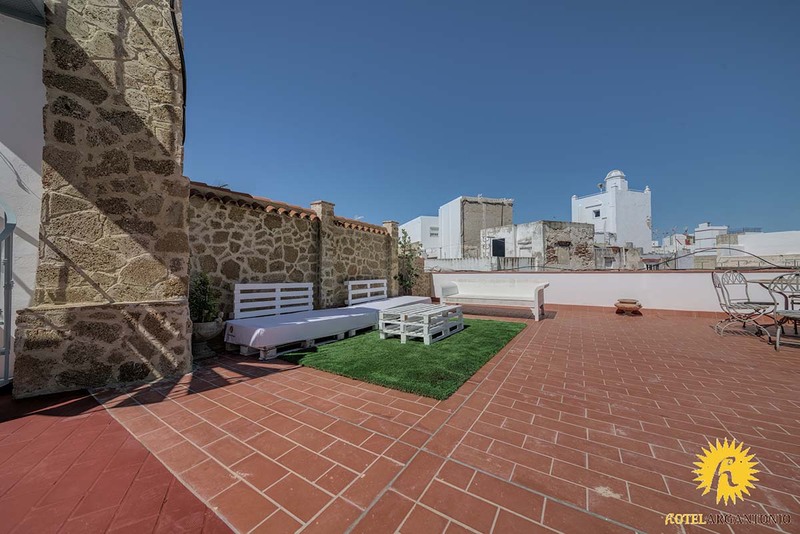 Enjoy also the views, learning about the towers of Cádiz, from the religious to the watchtowers used by the merchants in the XVIII century during the Indian commerce times. The terrace is the perfect place to relax and make your stay unforgettable.